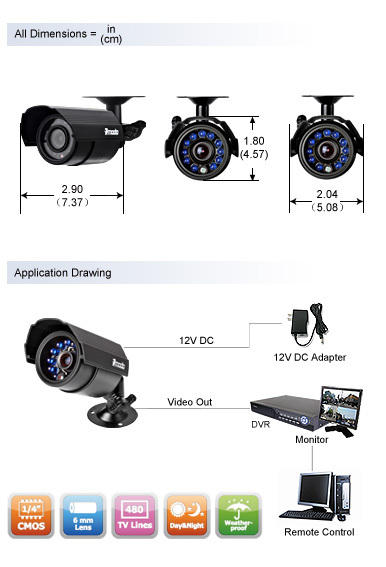 Click the button below to add the New 8 Channel 4 Camera Video Surveillance System No Hard Drive to your wish list. 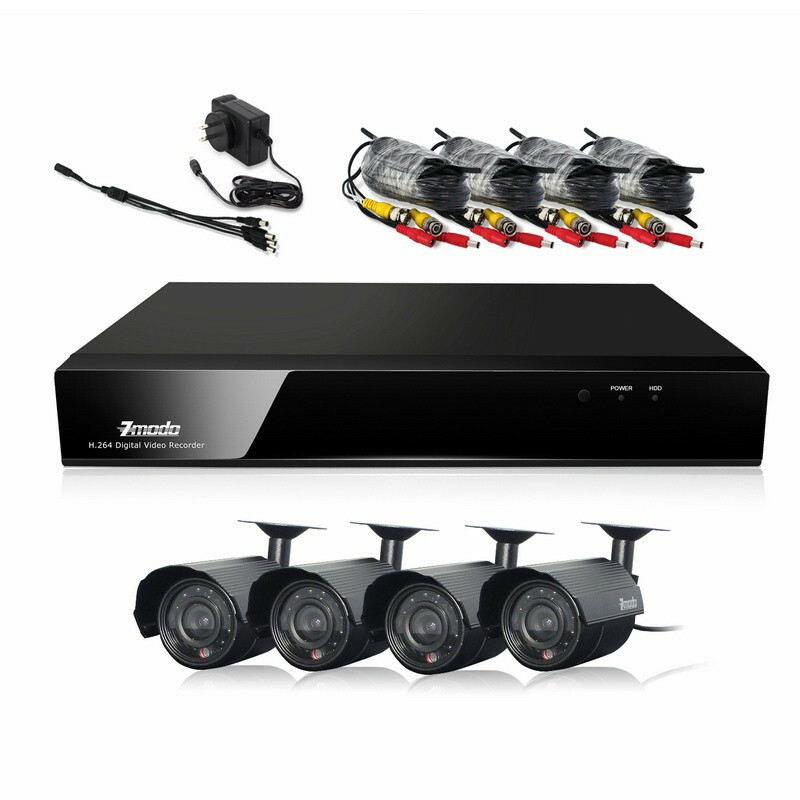 The ZMD-KDS8-SSRAZ4ZN 8 channel DVR system includes 8 Ch H.264 standalone DVR and 4 CMOS IR night vision outdoor/indoor cameras. This system is great for any home or small business and is easy to install and get running. 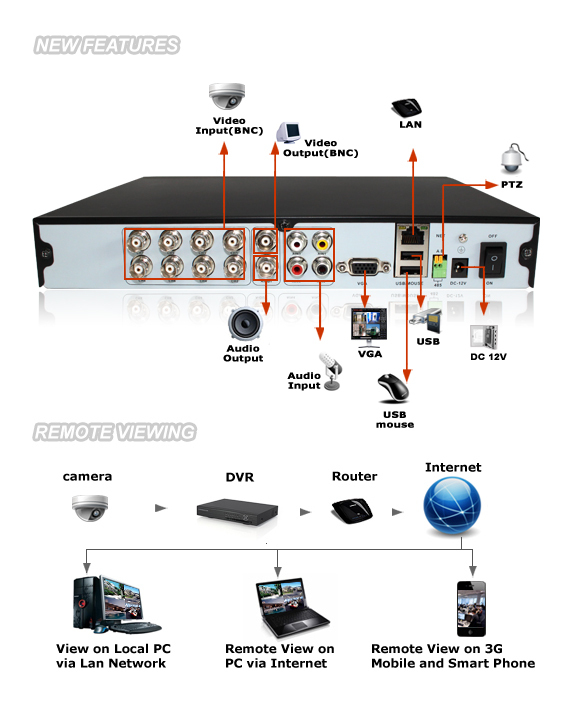 The great 8 channel surveillance DVR ZMD-DD-SAN8 can be remote viewed through your smartphone or 3G mobile technology. It offers standard H.264 hardware compression and different recording options consisting of continuous, scheduled, or motion detected. It does not have a hardrive so you can customize it with the size you want that suits you. 6mm Focal Lens - Longer focal length allows you to see further than our standard 3.6mm lens. Customizable - You can customize the size of your hardrive. Aluminum - Tough aluminum body help makes this camera weather and vandal proof. Symbian™ S60 3rd & S60 5th. Dimensions (W x D x H) 2.9" x 2" x 1.8"